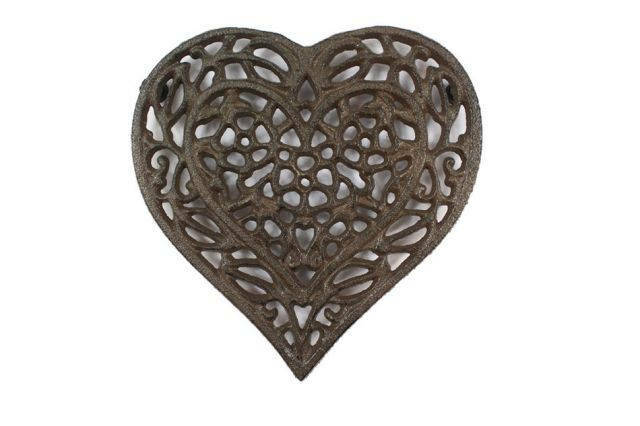 This Cast Iron Heart Shaped Trivet 7" is a fun heart shaped trivet that brings love to any kitchen setting. 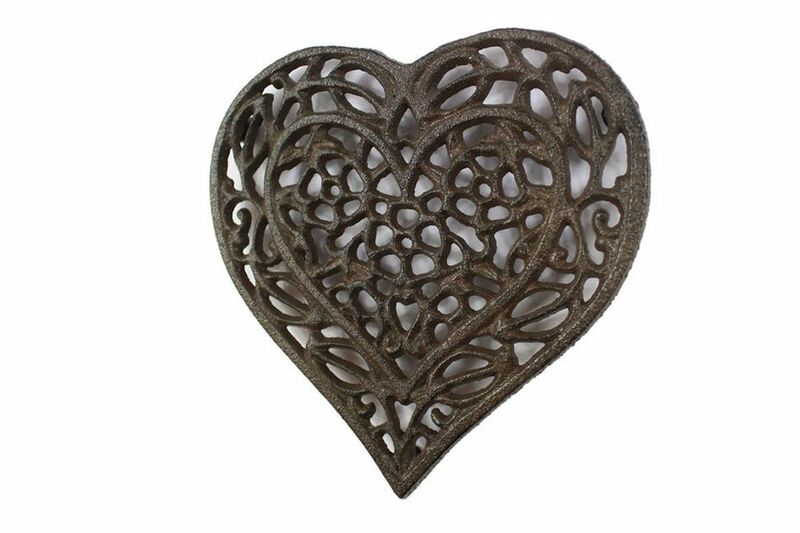 Handcrafted by our master artisans, this trivet is the ideal piece to add a romatic feel to any kitchen. Available in different styles.